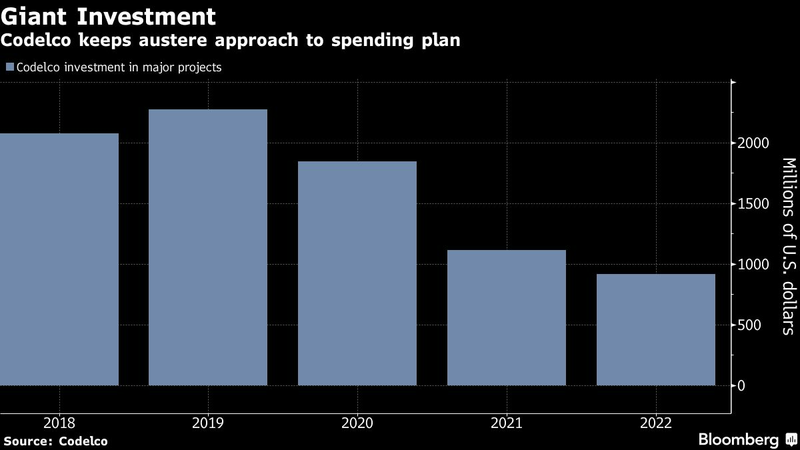 (Bloomberg) — Just as labor tensions ease at BHP Billiton Ltd.’s giant Escondida mine, the copper industry has another iconic mine to worry about. Relations between the world’s largest copper producer, Codelco, and unions in its Chuquicamata division have reached the lowest point in years as the mine transitions from open pit to an underground model that will use more automation and employ fewer workers. The five unions representing more than 5,000 workers at Codelco’s oldest open pit are threatening to dial up protests. They say the Chilean state-owned company is transitioning to underground without a prior agreement with unions on retirement plans, contracts and other benefits. Mining companies globally are looking to automation as a way of reducing costs and growing productivity. As a consequence, mines will be needing fewer but more specialized workers. Among them is Codelco, which spending billions upgrading operations to maintain output. Chuquicamata, with the world’s largest pit, is the most advanced, but other Codelco mines will follow. Tensions have escalated over the past month to the point that Chuquicamata is now seen as one of the two potential sources of supply disruption in Chile, according to Sergio Hernandez, executive vice-president of copper commission Cochilco. The other one would be Escondida, the world’s largest copper mine, whose workers are negotiating a new collective contract with the company after a 44-day strike last year. The fact that the two sides at Escondida were willing to begin talks before formal discussions begin in July is encouraging, coming at a time other producers in the country have managed to avoid strikes so far this year. A recovery in copper prices has lifted the expectations of workers, but prices are still a long way from peak levels and companies have a responsibility to keep costs in check, according to Hennie Faul, head of copper at Anglo American Plc. The souring of relations at Chuquicamata began with a refinery re-design, which unions see as a precedent for the modernization of other parts of the operation. Unions argue that the company refused to negotiate minimum worker numbers or retirement plans for those who are not needed under the new model. Codelco didn’t immediately provide a response to union accusations. Last month, Chief Executive Officer Nelson Pizarro said improvement plans at Chuquicamata’s concentrator plant, smelter and refinery are “inseparable” from the billions of dollars invested in the underground project. Chuquicamata underground will start producing next year with about 270 workers and will employ 2,500 people at its peak. 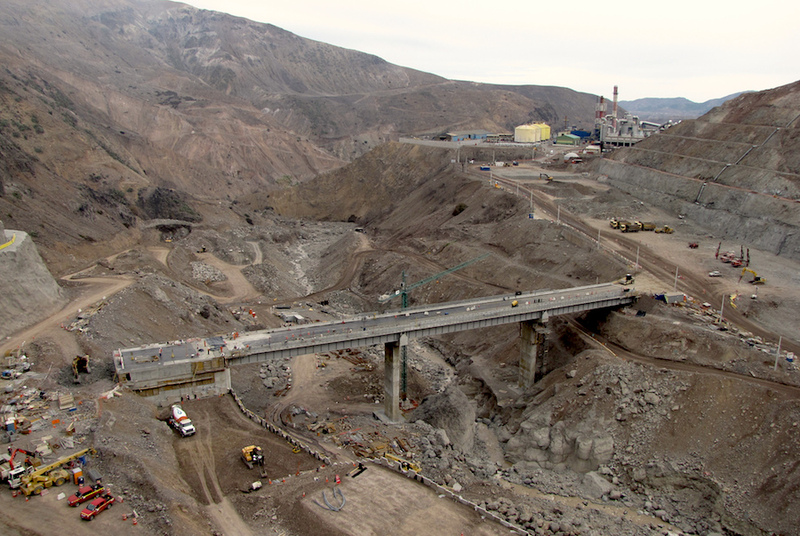 About 130 workers from the pit are being re-trained, but the unions say wages and conditions may deteriorate as Codelco strives to bring down the cost of each worker from about $100,000 a year to about $80,000. “We are not opposed to automation, and we understand some workers will have to go, but not the way the company wants to,” said Hernan Guerrero, president of Union No. 3, which represents about 1,500 workers. Dialogue between the company and unions is practically non-existent at the moment, he said. The conflict over the smelter re-design has shaken unions across Codelco. Diego Hernandez, president of Chilean mining association Sonami and a former Codelco CEO, sees the more aggressive stance of unions as the result of a power fight between leaders. Last week, Raimundo Espinoza was removed from the presidency of the Copper Workers’ Federation, an umbrella group for all Codelco unions, after 25 years in the role. Leading the federation now are Guerrero and Hector Roco, who heads Chuquicamata Union No. 1. Unions will determine their strategy this week during the Federation’s annual congress.